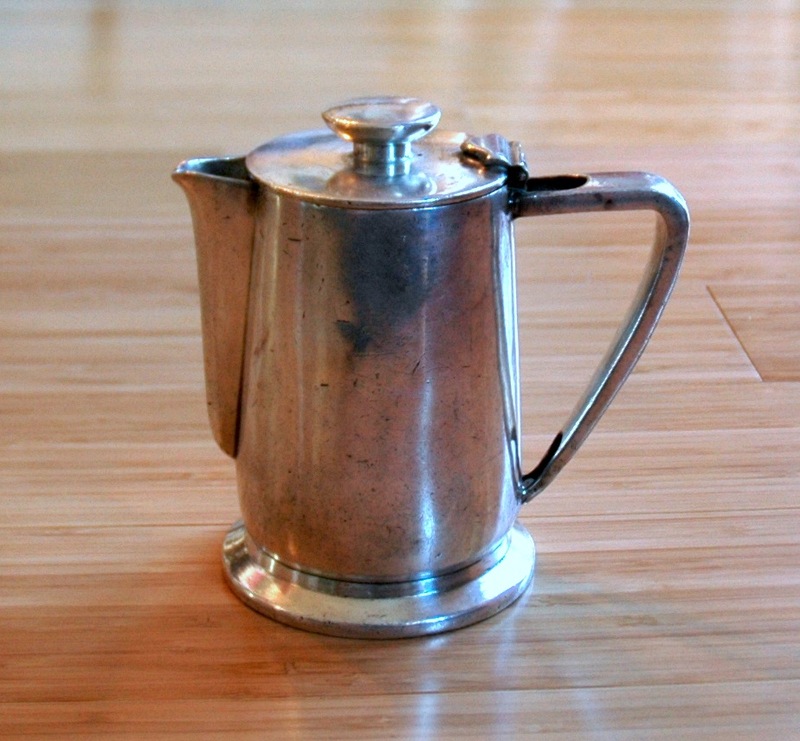 Well-made silver coffee pot produced by International Silver and dated 1950. It holds 14 ounces of liquid. Some usage dings and the typical wear seen from its time onboard. Overall quite nice with no loss of silver plate. 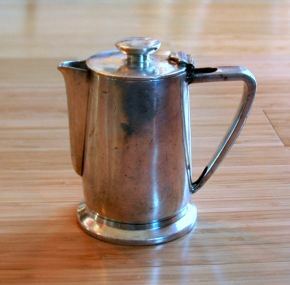 Measures about 5¼” tall x 5½” from handle to spout.